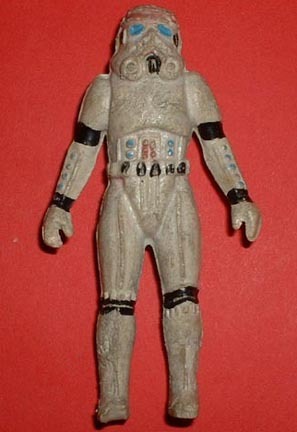 What we have here is a bootleg of the unarticulated Droids/Star Tours Stormtrooper figure. This particular one came from a collector in Poland. It's the first Stormtrooper I've seen from this line though several R2-D2 and C-3PO figures have shown up. The figure lacks any copyright information.